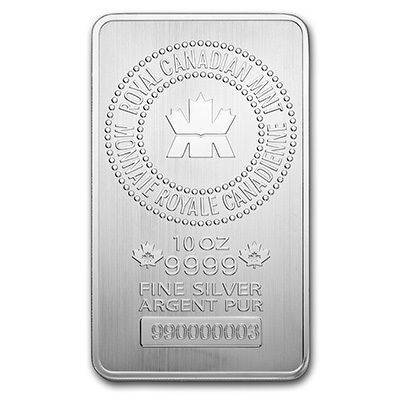 The 10 oz RCM Silver Bar is the latest offering from the Royal Canadian Mint. Containing 10 ounces of 99.99% silver bullion, this elegant bar has the distinction of being the only 10-ounce-sized silver bullion bar currently being produced by a government mint. Differentiating this silver bar is its unique “reeded edge” security feature, which is designed to help prevent counterfeiting. Each bar comes stamped with a unique serial number on the front and comes sealed in plastic to protect its finish. RCM 10 oz silver bars offer the perfect balance of quality and affordability, and are eligible for precious metals IRAs. Add a 10 oz Silver RCM Bar to your investment portfolio today. 1,000 oz Silver bars are variable weight bars designed with the serious precious metals investor in mind. These silver bullion bars are favored by high-net- worth investors, industrial buyers and institutional clients. 1,000 oz silver bars have a 0.999 purity, and contain approximately 1,000 troy ounces of fine silver. The Hard Assets Alliance sources its silver bullion bars from trusted precious metal refiners. We only sell silver bars from refiners accredited by the London Bullion Market Association (LBMA). Actual appearances and brands may differ from the picture above. With low premiums over spot prices, 1,000 oz silver bars are a cost-efficient way to buy silver bar bullion. Ideal for storing in secure vaults, these bars are eligible for precious metals IRAs. 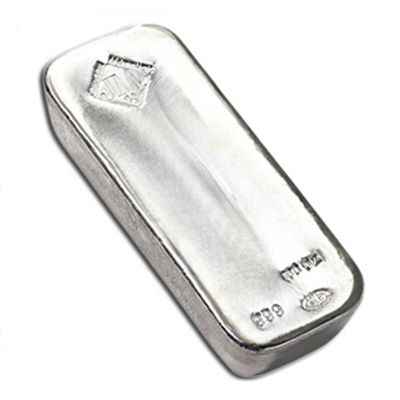 Buy a 1,000 oz silver bar online today. 100 oz Silver bars are variable weight bars and can be an ideal way to add silver bullion to a large silver portfolio. Each bar contains approximately 100 troy ounces of 0.999 fine silver bullion. Our 100 oz silver bars are sourced from leading LBMA-accredited refiners, so you can invest with confidence. The actual appearance and brand may differ from the picture above. 100 oz silver bars are a cost-efficient way to buy silver bullion, making them highly suited to serious precious metals investors. 100 oz silver bars are also easy to store and transfer, and are eligible for precious metals IRAs. This sized bar is an excellent choice for those looking to buy silver bars. 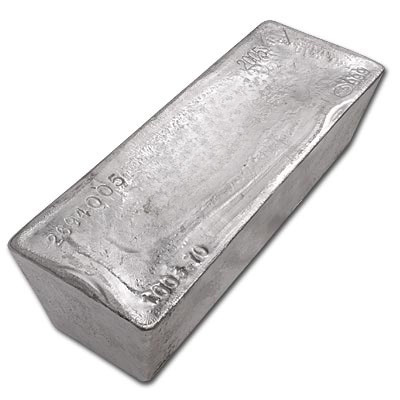 Add a 100 oz silver bar to your investment portfolio today.